Branch networks are proving popular among unsatisfied brokers – and that can be attributed to a lot less of one thing, and a lot more of another. Branch networks like Integrity Mortgage Group provide corporate support without the corporate red tape, says Kelly Wolfe, co-founder and president of Integrity Mortgage Group. The shift from brokerage to branch network is due to the flexibility that a company like IMG provides, versus the rigid guidelines that hinder originators. And it isn’t just the agents that appreciate that freedom, but the clients as well. Part of that service package includes being FHA, USDA and VA approved, delegated with investors, and having adequate funding in warehouse lines. “But having that flexibility and being able to make a decision quickly, without having to peel back those layers of red tape, I think is big for our branches and our customers,” Wolfe says. Branch networks can also give originators the tools to adapt to changing times and technologies – and that means meeting the needs of the growing millennial market. But changing how mortgages are done – changes that need to come at Internet speed –means that underwriting needs to be not only faster, but absolutely on point, Wolfe says. And staying on the leading edge of technology has meant that IMG can go toe-to-toe with the big boys in the mortgage space. 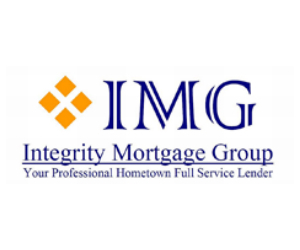 For more on Integrity Mortgage Group, keep an eye out for other In Focus stories this week.